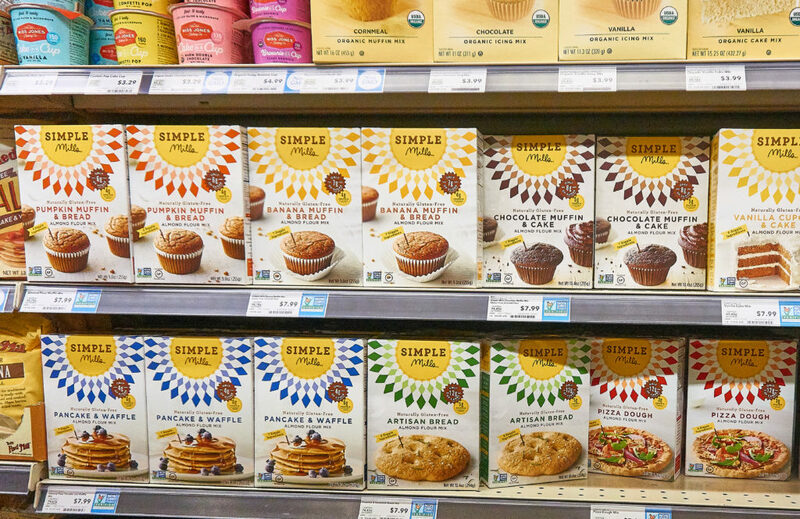 In five short years since its launch, Simple Mills has enjoyed remarkable growth with its packaged baked goods and baking products, all of which are gluten free, grain free, soy free, non-GMO, and Paleo friendly. 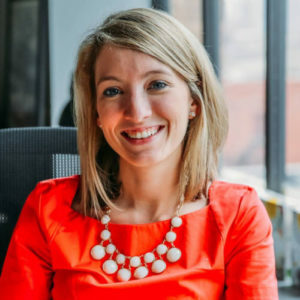 Founder/CEO Katlin Smith will discuss Simple Mills’ rapid rise next Tuesday (June 19) at FamilyFarmed’s Good Food Financing & Innovation Conference in Chicago, on a panel titled “Breakthrough Entrepreneurs Talk Innovation.” For tickets and more information about the Conference, visit www.goodfoodinnovation.com. Katlin Smith, a 2010 graduate of University of North Carolina business school, was working as a consultant in Atlanta when she started developing recipes to help her body feel stronger inside and out. The food she prepared was so tasty that she decided to explore whether she could commercialize it, walking into a local Whole Foods Market store with samples. Katlin Smith is founder and CEO of Simple Mills, a five-year-old Chicago-based company that has enjoyed strong growth with its gluten free, grain free, non-GMO packaged baking mixes and better-for-you snacks. 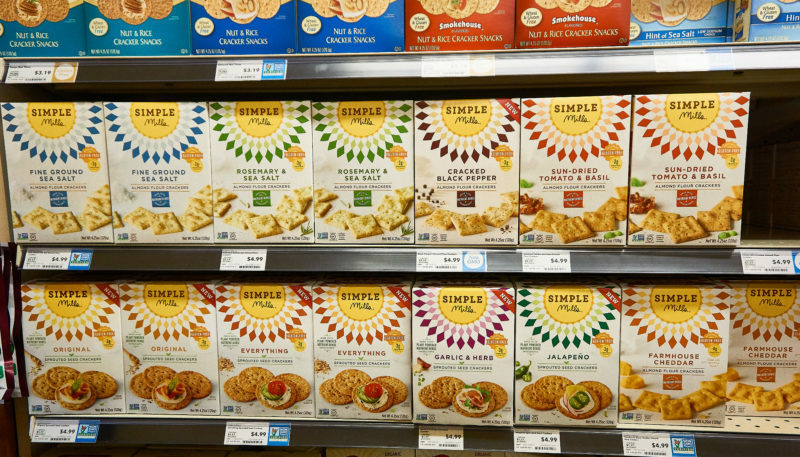 And Simple Mills — one of the fastest-growing brands in the Good Food sector — was born. In the five years since the company officially launched, Smith moved to Chicago to pursue a master’s degree at University of Chicago’s Booth School of Business. At the same time, she built Simple Mills into an industry power. Simple Mills also has developed a big consumer market for its products online, mainly through Amazon. Simple Mills’ baking mixes and better-for-you snacks are all gluten free, grain free, soy free, non-GMO, and Paleo friendly. 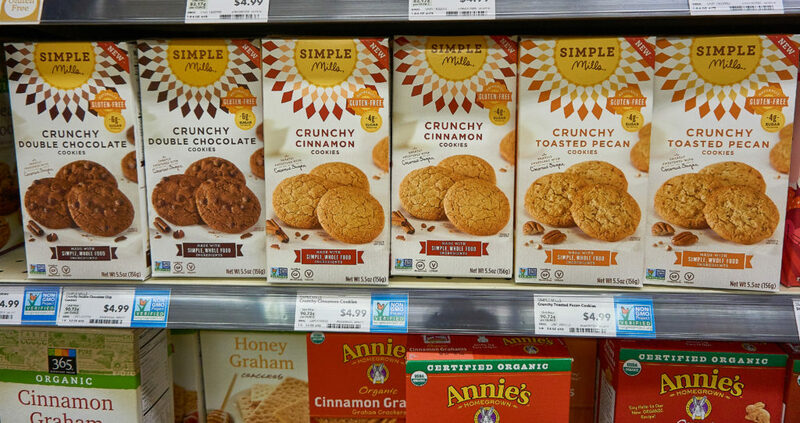 They include those crackers and cookies (crunchy and recently introduced soft) Smith mentioned, plus almond flour baking mixes and frosting. Smith said her personal experience with changing her diet led her to look more closely at the consumer packaged goods that dominate the nation’s supermarket shelves. 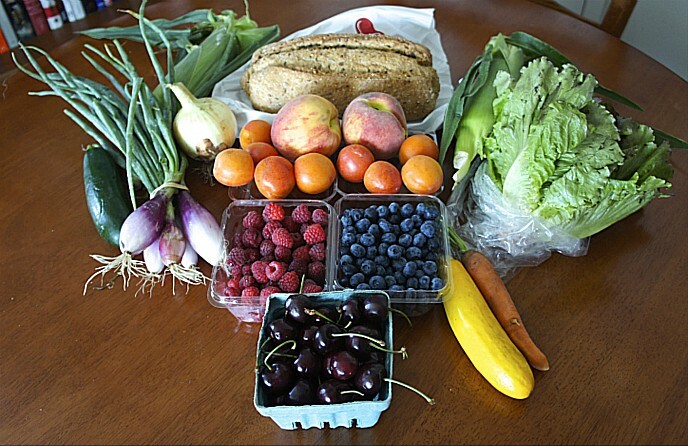 “I couldn’t really believe the impact that eating real food has on our bodies and how much of what sits on the grocery store shelves is not in fact real food. It has ingredients you can’t pronounce, tons of carbs, tons of sugar, tons of processed ingredients,” Smith said. Smith said she was not thinking big at the beginning… until an advisor told her that Simple Mills could become the new Betty Crocker. The success has drawn Smith recognition both as a young entrepreneur — she was named by Crain’s Chicago Business to its 20 In Their 20s list in 2015 and by Forbes to its 30 Under 30 list in 2017 — and as a star in the rising cadre of women food entrepreneurs. She was one of three businesswomen, and the only food producer, highlighted by Crain’s in a feature story published in April. Smith will be sharing these thoughts and more on the Innovation panel at the Good Food Financing & Innovation Conference. She will be joined Megan Klein of Here, which produces bean dips, cold-pressed juices and salad dressings, with an emphasis on local produce; Luke Saunders of Farmer’s Fridge, which is disrupting the vending machine industry with its delicious salads delivered by high-tech fridges; Jean-Pierre Comte, president of the Americas Region for the Barilla Italian food company; and Jim Parsell of OwlTing USA, which marries blockchain technology to a marketing platform for food entrepreneurs. The panel will be moderated by Dave Donnan, a leading expert on Good Food markets and trends, who is senior partner and head of the global food and beverage team for the A.T. Kearney management consulting firm. Megan Klein is a graduate of FamilyFarmed’s Good Food Accelerator program. Luke Saunders’ Farmer’s Fridge got a big early boost from its participation in an early Good Food Financing & Innovation Conference, and will be serving lunch at Tuesday’s event. 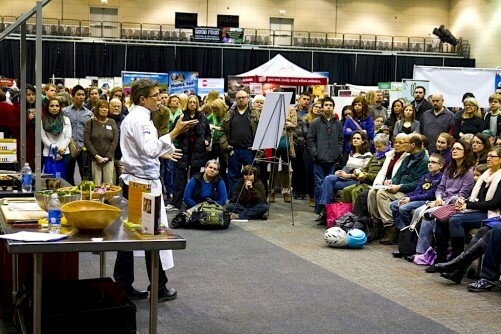 Don’t miss the Midwest’s premier annual business and investment event focused on local and sustainable food. Please visit www.goodfoodfinancing.org for tickets and the day’s complete schedule. This entry was posted in Uncategorized and tagged A.T. Kearney, Amazon, Barilla, Crain's Chicago Business, Dave Donnan, FamilyFarmed, Farmer's Fridge, Forbes, Good Food Accelerator, Good Food Financing &Innovation Conference, Here Chicago, Jean-Pierre Comte, Jim Parsell, Katlin Smith, Luke Saunders, Megan Klein, OwlTing USA, Simple Mills, University of Chicago, University of North Carolina, Whole Foods Market. Bookmark the permalink.